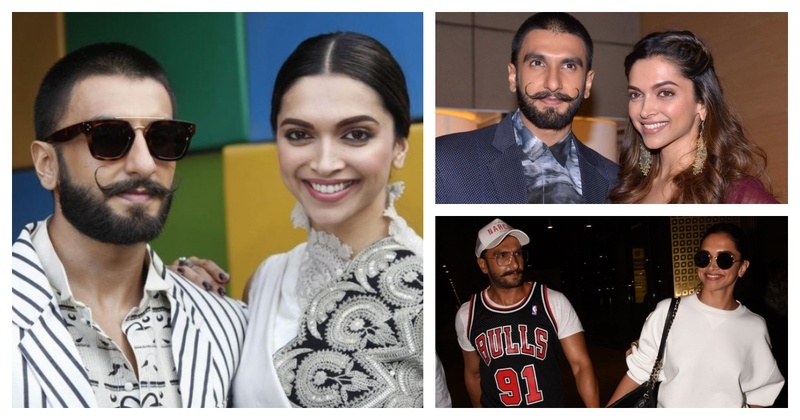 Deepika Padukone and Ranveer Singh's final wedding date is out! Yes, its happening. It’s that time of the week again when #DeepVeer have taken over social media and are blowing up the internet, YET AGAIN! If you are not living under a rock, and by rock I mean a major rock, you’ll know the speculations are rife that this love-dovey couple is rumored to be tying the knot at the end of this year. Meaning, #DeepVeer are all set to pull a #Virushka on us and HOW! According to an article in Filmfare, the couple will tie the knot in Italy on November 20. The wedding venue, says the report, will be near the serene and scenic, Lake Como. A source close to the couple said, “It’s a very special day for both Ranveer and Deepika which is why they just want the close ones to be present for their wedding ceremony. Mostly it will be their families and a few close friends. The guest list consists of merely 30 people and that’s exactly how these two want it. Italy is a favorite destination of both Ranveer and Deepika so they want to keep their big day more of a private affair. They are looking forward to hosting grand receptions once they’re back in India, post the wedding,”. Just a couple of days ago, Deepika was spotted shaadi shopping with her mom. Very recently, the duo was spotted in Italy with Deepika’s sister, Anisha. They were also seen walking hand-in-hand at Disney Land and trying to avoid cameras, although giving us major #VacayGoals all the way. Incidentally in an interview earlier this year, when India Today asked him, about his thoughts on marriage, he said, “These are things I think about. I try to create a life and work balance. As much as I am consumed by my work at the moment, these things (marriage) are on my mind. But nothing decisive as of now,". While I impatiently wait for the wedding of the year, these two have been giving me some major couple goals with turning the mush-meter of their relationship really high! How? Well, by leaving lovey-dovey comments on each other's posts and finally being publicly “together”! Ranveer recently posted a new photo of him looking absolutely yummy and the DP had me ‘Awwww-ing all the way’. Uff, you both... Deepika and Ranveer are definitely couple goals to the power infinity and the anticipation for the wedding date is really high! #GetMarriedAlready?? While I wait for this much-fantasized wedding, I can’t help but wonder what the enthusiasm level around Ranveer is going to be! Well, I don’t know about the nervousness but the swag level, I can absolutely guarantee! And this ladies and gentlemen is how Ranveer Singh is going to break a million hearts, getting down from his ghodi and marry his mastani FINALLY!